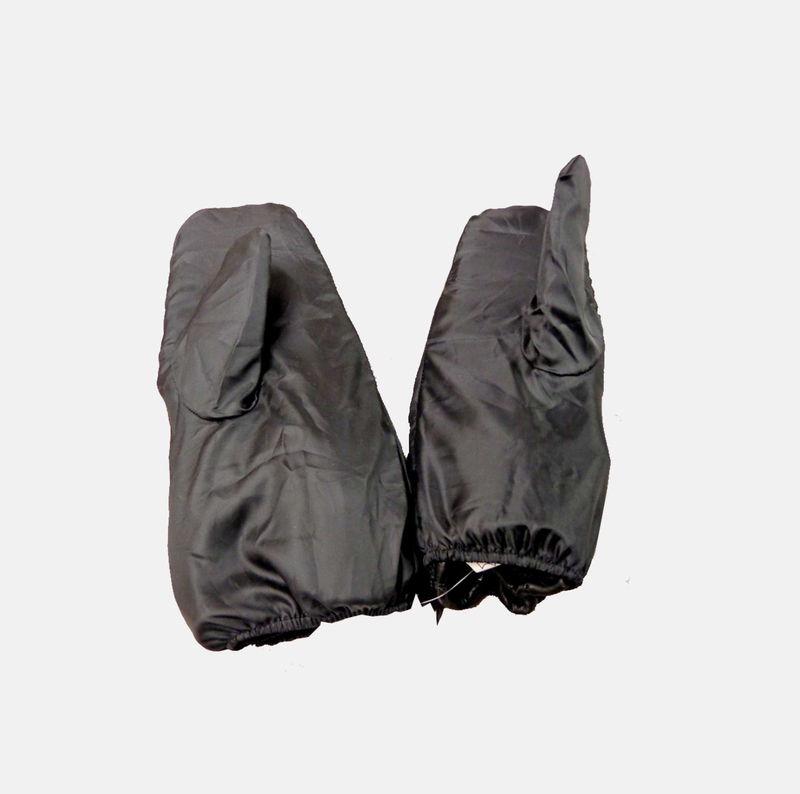 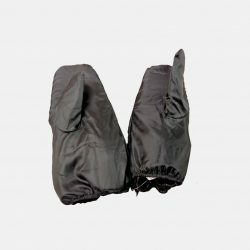 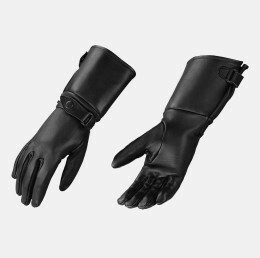 All black leather padded and insulated riding gauntlets with a zipper enclosed vinyl water resistant rain mitt to keep leather dry during wet and rainy riding. 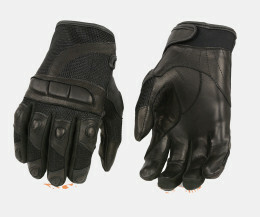 Flexible soft leather allows for flexibility while riding. 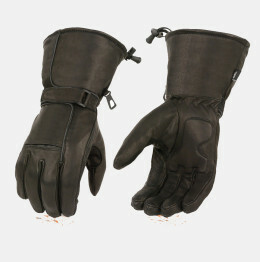 Velcro enclosure around the wrist and longer length allows for a tight fit and prevents air flow keeping your hands warm and dry. 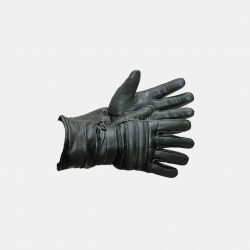 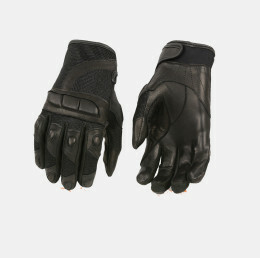 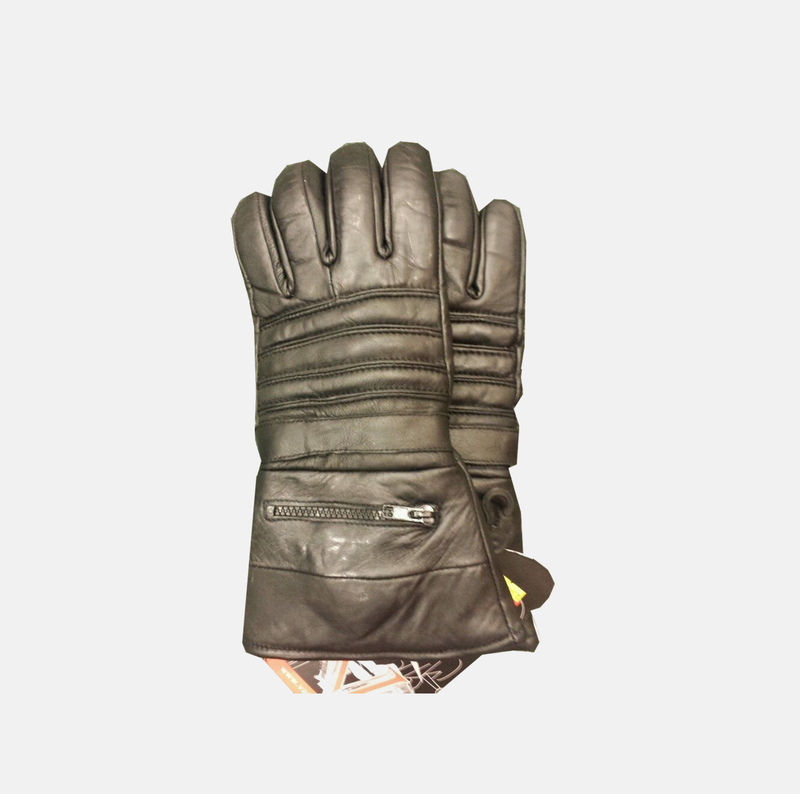 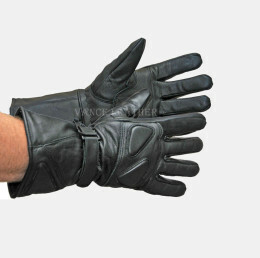 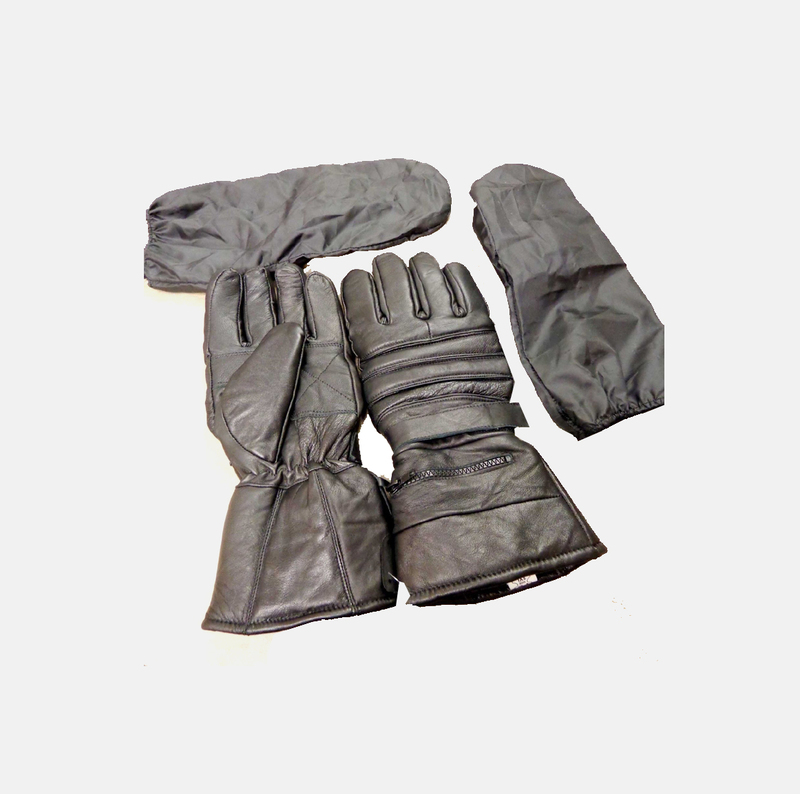 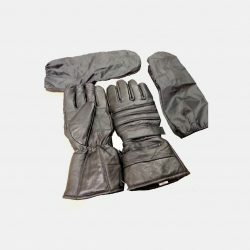 Leather motorcycle riding gauntlet gloves provide hand protection and warmth, while increasing grip and control during cold weather.